Most women come to me because they’ve lost confidence or their identity after a career break or redundancy. They know they want to go back to work but they feel overwhelmed, or stressed, trapped by a lack of confidence, or they just don’t know where or how to get started. They ask me to help them get their CV updated, sort out their LinkedIn profile, interview practice, brush up on their networking skills, etc. And yes we do all of that. However more importantly, I help women get clarity on what they really want and then find the confidence to go and get it. Like many women, I went back to work full-time (as Head of IT in a law firm) after my girls were born. It was tough but I loved my work (and truth be told, financially I couldn’t afford a longer break). When I was made redundant in 2009, I found another full-time IT role before I set up my business in 2012. I am telling you this so that you can see that I really do understand what it’s like in the corporate world. I know what it’s like to go back to work, whether that’s after maternity leave, redundancy or career break. I am grateful that I possess an inner strength and resilience and I love to share this with other women because at the end of the day, I want all women to feel powerful; to have the clarity and the confidence to make the decisions that are right for them. That’s why I want to share the 5 most important things to focus on when you go back to work. You may be surprised that fixing your CV or your LinkedIn profile don’t make the Top 5. To go back to work with confidence, you’ve got to get really clear on WHO you are. Your skills, your strengths – and not taking what you do for granted. Reflect on your past achievements and responsibilities. You are still you. You still have those same innate skills and talents, plus you’ve likely learned a few new ones along the way. Understand that you are unique. You are the only person who has your specific combination of skills, experience and talent. 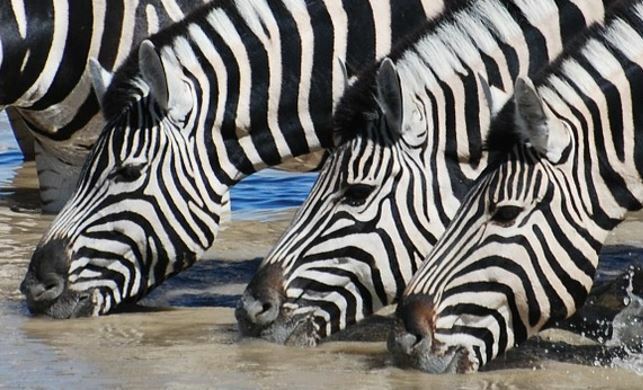 Zebras all look the same … but actually they’re not. Look closely and they are all unique. They might all have four hooves, two ears, two eyes and a nose. But their stripes are all unique. You need to get clear on what is most important to you about going back to work and about being a mother. You need to know what you want. For some of the mums I often talk to, security and stability are THE most important things. For other mums it’s about having independence or the freedom to be creative. It is important to understand your values and what is most important to you. This becomes your foundation for all your decisions. Yes sometimes you may need to compromise now on what is really important to you in order to take the right steps in the right direction. Sometimes finance or economics dictates what we have to do. However when you have a clear understanding of what is most important to you about going back to work, and about being a mother, you can make those decisions with clarity. You will know what you are compromising and why. Wellness is one of the five elements in The Confidence Circle that I explore with mums. It is really important to look after yourself, take ‘me’ time and not feel guilty about it. For me, there are three aspects to wellness which you can’t fully separate: physical, mental and emotional. Physical wellness is about good quality sleep (not always easy if you have young children), eating healthily, being active on a regular basis, rest and relaxation, and spending time outside. Mental wellness to me is about having strategies to deal with overwhelm and managing your stress levels. It’s being kind to yourself and showing self-compassion. Emotional wellness can be hard to manage when you go back to work – for me this is about ditching the guilt and giving yourself permission not to be perfect. Many mums come to me because they are feeling overwhelmed or their head is full of ideas that change from one moment to the next, and even if they have the time and the energy, they just don’t know where or how to get started. My advice to you is to just take the first step. Even if you don’t know what the next step after that will be. Just get started. Think about Susan Jeffers and her book: Feel the fear and do it anyway. You don’t need all the answers before you get started. You don’t need to get everything done in one day. Just taking that first step – that first baby step will give you the energy and the action taking inspiration to take the next step. Even if that first step turns out not to be the ‘right’ step. If it gets you started, it IS the right step. When you want to go back to work with confidence, you need support and accountability. You want a cheerleader on your side; who’ll cheer you on every time you take one of those small steps. You want a supporter who will bolster your confidence on the days you feel down. You want a coach who can remind you of how much progress you’re making when you’re feeling like you’re not getting anywhere. You want an accountability partner who will keep you on track and focussed when it feels overwhelming or your stress levels are rising. You want a friend and supporter who will remind you of the actions that you committed to. This person needs bags of positive enthusiasm and energy. You don’t want anybody else’s negative energy to drag you down. You might already have the perfect candidate in your partner, in your circle of friends, or you might find this person on the school run, or online. This is a big role to fill and it might be you need two or three people combined to give you the support and accountability you need. The five most important things you need to focus on for your back to work confidence: who you are, what is most important to you, your own wellness, taking those first small steps even if you don’t know where they will lead, and finally surround yourself with positive people who will offer you ongoing support and accountability. If you like my style, you’ll love my weekly newsletter packed with confidence tips. Sign up HERE.